#Winne (2016) is the recently released documentary about one of world’s and South Africa’s most powerful political figures in history. One of few women who have not only stood behind their man but in front of him. When Nelson Mandela was imprisoned Winnie started the relentless fight leading the ANC, a brutal fight for her country that she described as being “the foot soldier/s for the liberation”. Filmmaker Pascale presents a portrait of woman, who now in her 80’s is still every bit the strong-minded woman that spent 27 years fighting for the release of her husband, also a woman who despite what she did for South Africa ended up being disowned by the ANC and vilified by the media. Not long after Mandela was released in 1990 they were divorced. In the documentary Winnie recalls the moment when Mandela was incarcerated. Winne: “It was very scary to visualize the future we were all caught up in that war of liberation, self no longer mattered the country came first”. In 1964 a young Winnie told reporters “It could have been far worse than this, it could have been the death penalty”. 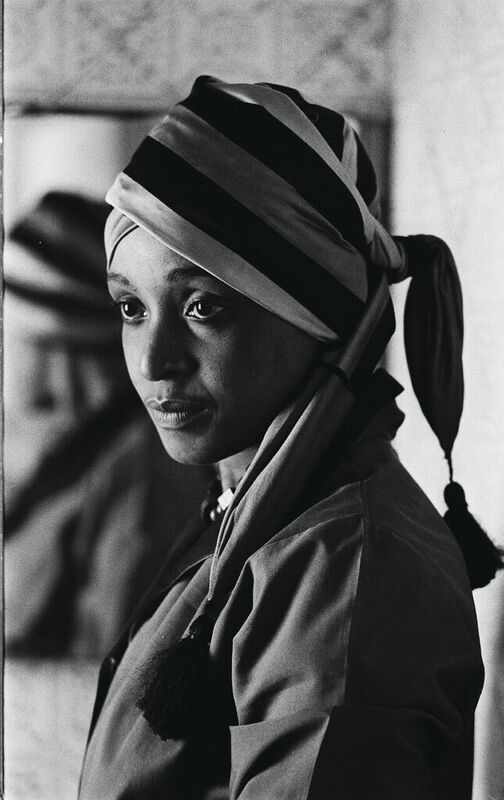 Born Nomzamo Winifred Madikizela September 26, 1936, in rural Transkei, her father was a teacher and she had a very strict up bringing which she believes is how she “became the Winnie Mandela that we know today”. She met Mandela at 22, while standing at bus-stop in Soweto, the rest as they say is history. Although at the time Mandela was not only married to his fight against Apartheid but he had a wife and 3 children. Their feat was sealed, #Mandela was 15 years her senior, according to Winnie very quickly they became “great lovers”. But it more than just a great love affair, Winnie knew very early on in her own words that she “was marrying a prisoner”. Not long after they got married Mandela had to go on the run. #Apartheid was the Afrikaans name given by the white-ruled South Africa’s Nationalist Party in 1948 to the country’s brutal inhumane system of racial segregation, it ended in the early 1990s and a democratic government was formed in 1994. The film was released by Bertha DocHouse. Q: When did you decide to do this project and why? About ten years ago, my late partner Peter Makurube, launched the idea. He was an acute observer of South African politics and was appalled and saddened by the situation in his country. Neither of us could square the reputation we encountered on our travels outside the country, with the deep affection and regard Winnie still commanded in South Africa, among her people. Peter, who was born in Soweto, knew that it would be a difficult film to make and would encounter many obstacles, which proved to be the case, but he felt convinced that I was the filmmaker who could see it through. He pointed to the combination of my outsider view, together with my insider heart and engagement with South African history. I had already made three films in SA – the first, about a family in Soweto, which took the pulse of ten years of the ‘Rainbow Nation’; the second, a music-driven film about the legendary life and destruction of Sophiatown, Johannesburg’s own ‘Harlem Renaissance’; the third, about the Rivonia Trial, at which Nelson Mandela and almost the entire High Command of the ANC were imprisoned for life. And most importantly: I’m a woman and Peter felt that was the perspective needed to contextualize Winnie’s story. Q: How easy was it to get Winnie to agree to do the documentary? Like all important things, it was not easy. We first had to build trust. Peter was able to secure a meeting with Zindzi Mandela. He felt sure we would get on well, as there were aspects of our childhood experiences he knew would chime, from different cultural perspectives. He was right. I was able to make clear my initial interest was to seriously consider her mother’s role as a military commander in Umkhonto we Sizwe, the military wing of the ANC. That part of history was still so shrouded in mystery. Zindzi was interested in my perspective and felt she could trust me enough, to build a story that would dig into the truth behind her mother’s controversial reputation. It was a year since her father’s death and her mother was just emerging out of her period of mourning. This was the right time, historically, to begin looking at the story of the ‘miracle transformation’ that heralded Democracy in South Africa, from a more down to earth perspective, and with the value of hindsight. Q: Did you set out with a narrative in mind or did the story just unfold? We set out with a perspective that questioned everything. That’s the role of any documentary filmmaker, in my view. But we knew it would be very hard to uncover ‘the truth’ and my first concern was to be able to interview Winnie on several occasions, while my research and investigations deepened, and I made inroads into the territory of her former enemies. Tragically, I lost my partner Peter, shortly after my first interview with Winnie. She wrote a profound and beautiful elegy to her ‘son’ for his funeral, which reflected her feelings and sadness about contemporary South Africa and all the waste of extraordinary talent and human resources. Somehow, she pulled me through my grief, and it created a bond, which resulted in three more, in depth interviews over a two-year period, as the film progressed. And as I discovered more, securing interviews with her key collaborators and then with her enemies, I soon had enough material for a three-part series. But I barely had the resources for one feature length film and hard choices needed to be made in the editing room. In the end the film became less anecdotal and far more political, in the sense that it builds a ‘big picture’ narrative, while maintaining the core idea that became my guiding principle. That core idea was that South Africa needed Nelson and Winnie to stay together. That political marriage was what the country needed. As Zindzi says: “two perspectives but with the same goal” – the liberation of their people from the tyranny of white supremacy, but also from the tyranny of a rapacious elite. Q: How much do you think South Africa has changed since Apartheid ended, in 2009 the World Bank named South Africa the most economically unfair society on earth? I think that assessment speaks for itself. For post-apartheid South Africa, with the most progressive constitution on earth, to become labelled the most socially and economically unequal country on earth – is a travesty of all the brilliant humanism, and all those decades of hard struggle against what can best be called, in Winnie’s words, the forces of darkness. Q: What was it like when you met Ms Mandela and to see her not afraid to display her vulnerabilities, was there anything that surprised you? Well at first, and quite understandably, she did not want to display vulnerability at all. I expected that it would be difficult to permeate the carapace and the story-ing, which we all engage in when thinking about our past. And she was no doubt wary of me, for so many journalists had served her so poorly in the past. She also had, for many years, concluded that, as she put it to me, ‘History’ would absolve her. But, as I countered, history becomes what’s left on record. We needed to talk! I also think that the shocking death of my partner, because of the almost complete collapse of public health care in South Africa, and my distress consequently, brought me closer to Winnie. And with empathy came greater understanding. Q: Do you think she would have made a good president? In the film, the wonderful Anne Marie Du Preez, Winnie’s biographer, conjectures that if Winnie had been embraced by the powerful inner circle of the ANC, she has no doubt that she would have become Deputy President and thus President after Nelson Mandela. For she had huge support on the ground, an immense constituency, while others were returning from decades in exile with no personal constituencies and little attachment to the people. But of course, that is entirely speculative. And the film shows just how impossible that picture was at the time. There is little doubt that Winnie had the charisma to lead the country and had she been surrounded and supported by all the very clever ANC people who were negotiating with the Nationalist Government, she could have succeeded. After all, she was a mix of caring social worker, grass roots organiser, fearless speaker-of-truth-to-power and military commander. What more did she need? A degree in Economics from Sussex University? An address book full of powerful business contacts? Leading a country always rests on team-work with the best and the brightest in their respective fields. But we know politics is always a far murkier game and generally ruled by business interests. There was no place for her in the scramble for power when it became clear the Nationalists could no longer keep at bay the call for Democracy in South Africa. I do think that a woman would make a good President of South Africa. Women generally run the family and the community and South Africa is in dire need of returning to its roots. And I hope there are many women building up a future Presidential capacity in the wings. But for the moment, politics there remains dominated by the usual suspects. Q: How long did the documentary take to make? Q: When apartheid ended many who should have been brought to justice “escaped”, do you think this was down to a softened Mandela after 27 years in prison? I think the fate of South Africa was not in the hands of any one individual. There were very significant figures that took centre stage, while others dealt with the back-room deal making that was their version of Realpolitik. The Truth & Reconciliation Commission hearings were a process that attempted to ‘bring closure’ – by doling out amnesties from prosecution in return for some disclosure or sign of remorse. Winnie would have preferred a ‘Nuremberg’. She judged the systemic crime against humanity, more seriously than some of her powerful contemporaries. A great many horrors were swept aside, and a line was drawn in the sand, as though History could begin again, with a clean conscience, at post-apartheid Year Zero. And except for one or two high profile criminals, the majority of the perpetrators of despicable crimes, did, as Dali Mpofu says in the film, quite literally get away with murder. Q: Do you think that the stories of women who stand beside great men like Mandela are overlooked? I do indeed. There seems to have been a relish for the old clichés of the manipulative wife – the Madam Mao etc – who bring down the nation with malevolent intent. These are the tropes. Of course, I also once interviewed Benazir Bhutto, former Prime Minister of Pakistan, and she was brought down twice, to some degree, by association with her husband, ‘Mr Ten Percent’, as he was dubbed. But that’s another story that ended very badly. And I’m less interested in the wives of Great Men than in the whole process of how women have historically been ring-fenced from power. Q: What is next in the pipe-line? I have a number of projects in the pipeline. A triptych on America, through three iconic male figures, for example. I have been thinking about and would love to make a film about Alice Coltrane – another ‘wife’ of an influential figure (John Coltrane), who was disregarded in relations to her own genius. Her phenomenal music opens the WINNIE film. And I have another project in South Africa. About the short life and mysterious death of Nat Nakasa, which takes the apartheid story over to the United States in very interesting ways.